This Sunday, ChiIL Mama will be ChiILin' with Chi, IL's renowned Black Ensemble Theater Company for the press opening of the World Premiere of The Black Renaissance (A Musical Resistance Against Racism), another Jackie Taylor original. Check back soon for our full review. Despite being about as white as a blonde haired, blue eyed German/Swede can be, I have always felt completely and unequivocally welcome at BET. There is an undeniable friendliness and inclusive sense of community here, that's big enough to accept everyone. The power vocals of BET's ensemble members are truly world class, and they seek not only to entertain, but to craft original, thought provoking, mind altering productions, season after season. In these regressive, repressive political times, where hate and divisiveness have found a platform, there's an aching need for healing, understanding, and powerful action that music and theatre can provide. I can't wait to see Black Ensemble Theater's latest world premiere. 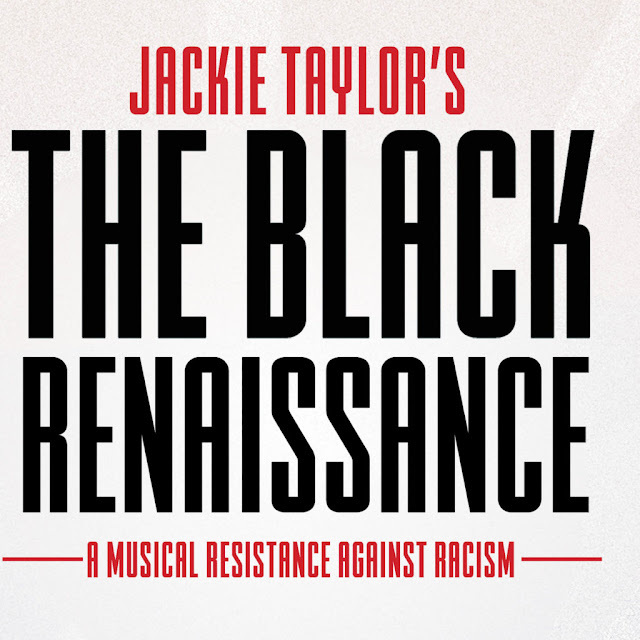 Black Ensemble Theater continues the 2017 Season (The Dance Theater Season) with the World Premiere of The Black Renaissance (A Musical Resistance Against Racism), written and directed by Black Ensemble Theater Founder and CEO Jackie Taylor. The Black Renaissance (A Musical Resistance Against Racism), will be performed at the Black Ensemble Theater Cultural Center, 4450 N. Clark Street in Chicago, October 14-November 26, 2017. Through the struggles, trials and tribulations of those who fought and fight against oppression and racism, The Black Renaissance is a musical and historical depiction of the African American experience in a racist America that will uplift, inspire and motivate all of us to create a world where racism cannot exist. The Black Renaissance (A Musical Resistance Against Racism), is more than a play, it is a movement. A movement through song and dance that will help us understand the systemic process of racism and oppression. This thought provoking production will uncover the root of racism, what is it and why we must remove it from our society. Through this historical presentation from slavery to Obama to Trump, we will be led on a spiritual journey that will ignite the healing process and help us understand how to respect and honor our differing cultures while learning how to live together as one race – the human race. The Black Renaissance features Michael Adkins, Brian Boller, Jana’ah Coates, Rueben Echoles, Lemond Hayes, Wendell Jackson, Dwight Neal, Linnea Norwood, Rhonda Preston, LeKeya Shearrill, Henri Slater, Lynn Solar and Levi Stewart. As with all Black Ensemble Theater productions, The Black Renaissance features live musicians, including musical director Robert Reddrick, (drums) Adam Sherod (piano), Mark Miller (bass) and Gary Baker (guitar). The designers are Ruthanne Swanson (costumes), The A Team (set), Denise Karczewski (lights), Aaron Quick (sounds). The stage manager is Bekki Lambrecht. For more information on the Black Ensemble Theater Company, please visit www.BlackEnsembleTheater.org or call 773-769-4451.